A health learning platform is functioning well, with hospital workers able to sign up for $69.99 and access all courses online. However, user feedback indicates that nurses (a significant user group) prefer to have access only to the courses relevant to their work, at a lower price. 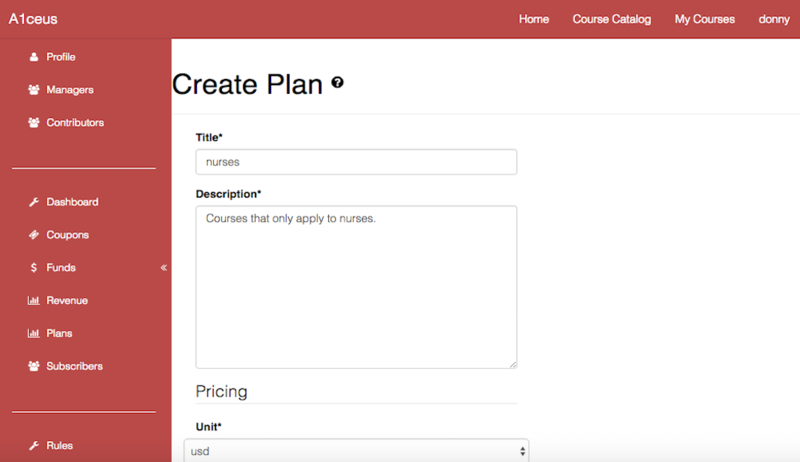 To meet this need, a subscription plan is created that gives access to the courses specifically targeting nurses. With DjaoDjin behind the scenes, a manager for the health learning platform creates a new plan called “nurses”. 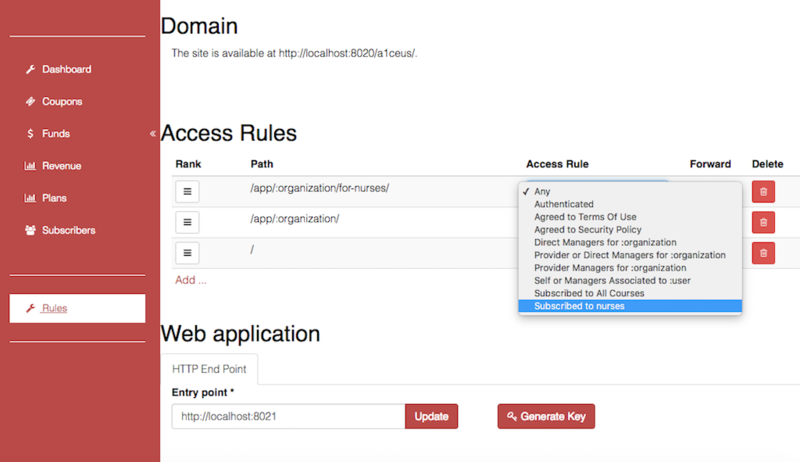 Then she/he creates an access rule for this new plan, restricting access to its URL to users who have subscribed to the “nurses” plan. 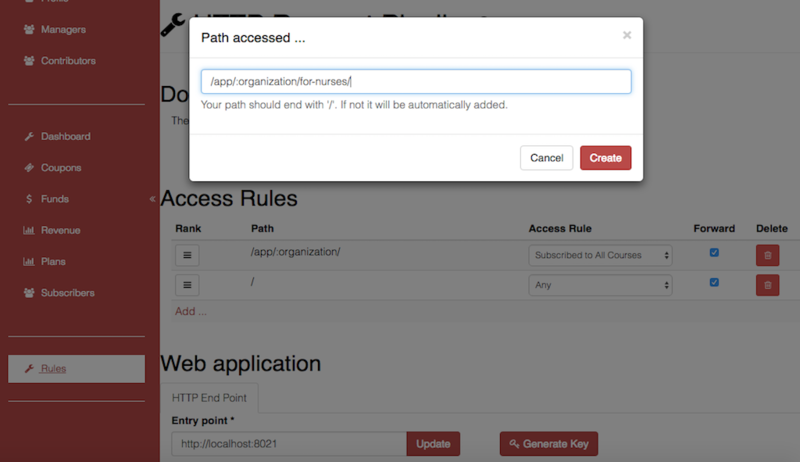 When a user goes to the URL for the “nurses” plan, DjaoDjin will check the user’s subscription status. If subscribed, DjaoDjin will forward the URL request to the health learning platform. If not, the user will receive a customizable 403 Permission Denied message.